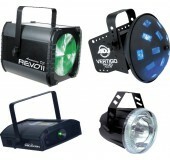 Avista carries a range of DJ gear rentals to assist you with music playback at your party. Start with our pro grade speakers, the most essential part of any party, then add dance floor lights to set the right mood. 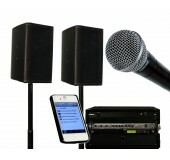 Whether you're DJing from CDs, iPod, iPad or your laptop, Avista's DJ gear rentals will help your event sound great. 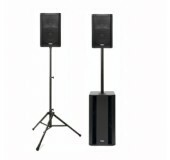 This QSC speaker subwoofer rental package delivers 3000-watts of clear power.